 The City of Austin gives customers 17 days to pay their utility bill from the date of issuance. For the majority of delinquent residential customers, when a payment is not received, a letter is mailed to the customer requiring payment within seven days. If the account remains unpaid and the customer has not contacted Austin Energy for payment arrangements or assistance, Austin Energy will issue a disconnection door hanger. Accounts not brought current after delivery of the notice will be disconnected within a couple of days. This table shows the number of accounts disconnected for non-payment starting in 2002. Cuts for non-payment are halted anytime the heat index reaches or exceeds 102 degrees one day and is expected to reach or exceed 102 degrees on the following day. Cuts for non-payment are suspended if the National Weather Service forecasts the next day to be at or below 32 degrees, or at below 35 degrees with a greater than 50% chance of precipitation. Austin Energy suspended the issuance of disconnects for non-pay in FY 2012 due to the implementation of the new customer billing system. This allowed the utility to spend time quality assuring the system prior to the commencement of collections activities. For FY 2011, utility bills delinquent by 30 days or more averaged $16.2 million per month. The total number of disconnects in fiscal year 2011 was down from previous years due to a suspension of disconnects resulting from hotter than normal temperatures.